The town of Cox’s Bazar in Bangladesh is a tourist destination with luxury five star hotels and 120 km of sandy beaches. 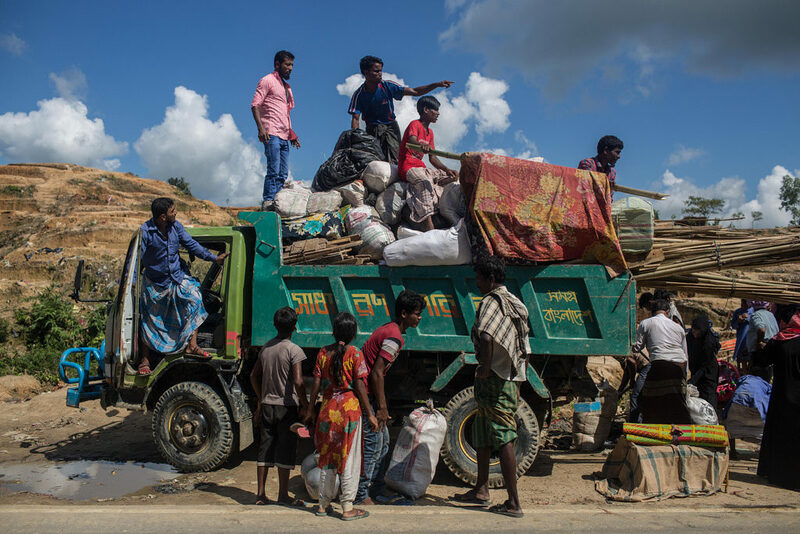 In the last month it has become famous for a different reason, with the arrival of over half a million forcibly displaced Rohingya from Myanmar. They are now encamped an hour south of the town in what is fast becoming the world’s biggest refugee camp. In this vast city of poverty, those who can afford it huddle in makeshift tents made of flimsy bamboo poles and cheap plastic tarpaulins. The rest just live out in the ceaseless rain. It is monsoon season. Inside one of these tents, in Kutupalong, Ukhia district, I meet Omar Hamad* and his family. His wife Basita gives a shriek of joy as she opens up a Caritas sack with household utensils and carefully places each item on a raffia mat on the floor. We sit together on two small mats placed on the mud floor in a plastic tent of 3 x 6 metres, the combined living and sleeping space for nine people. 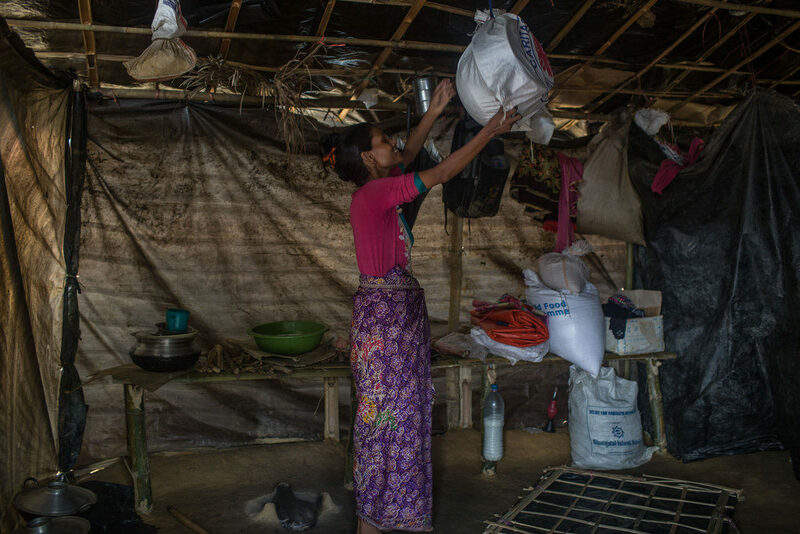 In their village, Omar’s wife Basita recounts, they lived in a wooden house, with a kitchen, bedrooms, a living room. They had cattle and rice fields. Not that life in Myanmar was easy. As we talk and the family gradually open up, they say that as Rohingya they have always suffered discrimination. “We had no rights,” remembers Omar’s 19-year-old daughter Leila. They were “kept like animals” in their village, they explain, and never allowed to travel outside. 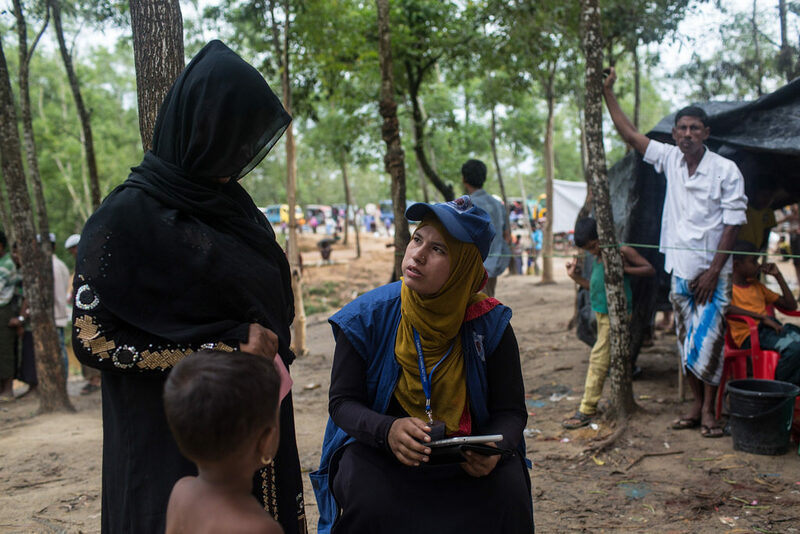 The Rohingya Muslims in Myanmar live in an apartheid-like system, denied citizenship, schooling and many other rights. It wasn’t until the day the army came and burned the village down that Omar and his family finally fled. “What is your understanding of being treated as a human being?” I ask. Omar’s reply leaves me struggling for words. “This is normal,” I finally manage to say. “This is something we are not used to”, replies Basita. For the last four days, the Caritas Bangladesh team and their many volunteer helpers have been distributing food and cookware to a total of 70,000 people. 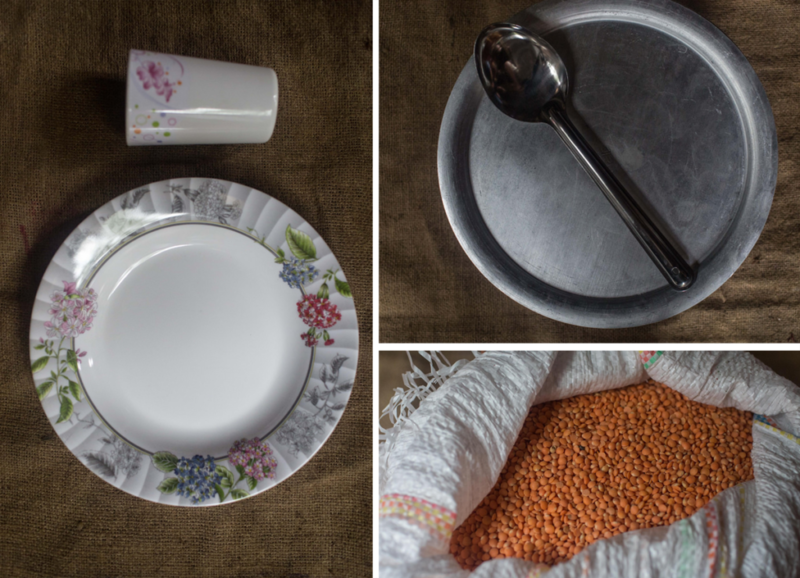 The food – oil, salt, sugar, lentils and other pulses, enough for two weeks – is a vital supplement to the rice the refugees receive from the World Food Programme. The utensils – a rice cooking dish, a curry dish, spoons, plates and glasses – are a lifeline for people who have fled with no possessions.